Life of an Educator - Dr. Justin Tarte: Where is the value added? I will give most of the credit to a friend, fellow cohort member in my doctoral program, mentor and educational inspiration, Chris McGee. Chris is considered our "tech guy" in our doctoral program because he is light years ahead of us in terms of his technological knowledge and experience. 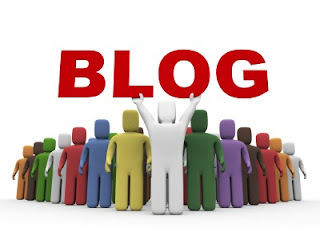 It is because of Chris that I started to blog. Which in turn leads me to my main point of this blog. What is the value added to blogging and why should I blog? In my short blogging career I have had a great experience learning how to blog, as well as the many advantages to blogging. In my opinion the main benefit of blogging is what I would call the "clearing of the mind." When I sit down to write I am forced to really evaluate my true feelings toward particular issues. This in turn allows me to understand where I stand with particular issues related to education. The first step in change is to truly understand what you believe in and what you think. Blogging allows me to sort out my beliefs while expressing my opinions in an open and accepting forum. Secondly, I would argue that reading other blogs of what people have experienced, believe, and think about education related issues can be extremely powerful in terms of professional development opportunities. I am still not exactly sure who my target audience is when I blog. Perhaps my audience is just educators, perhaps educators and parents, perhaps educators, parents and students...I am not sure. Additionally, I am not sure if my lack of a target audience is a problem. Do I absolutely need a target audience, or can I just write to write? Can I just write to "clear my mind," and if somebody happens to read and like what I have to say then it is a bonus? I don't have an answer for you, but I do know one thing for certain. I plan on continuing to blog and learning about myself, and I would encourage others to explore different ways of finding yourself and discovering your inner beliefs.